Young Artists of America at Strathmore (YAA) is the region’s premier training organization for collaborative performing artists. 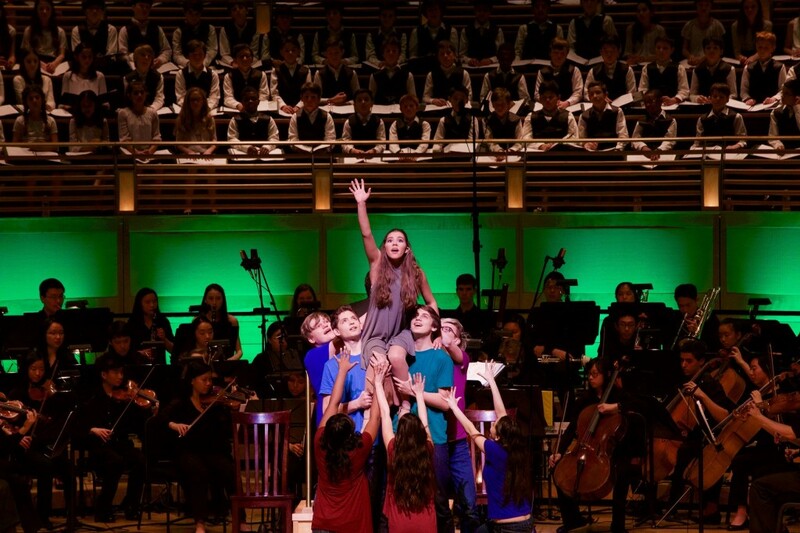 It is the only known program in the nation where high school students receive mentorship and individualized instruction from renowned artists while training to perform fully-orchestrated works of music-theatre in state-of-the-art venues. The heart of the work at Young Artists of America that it teaches students that excellence is attainable with disciplined hard work and focus. 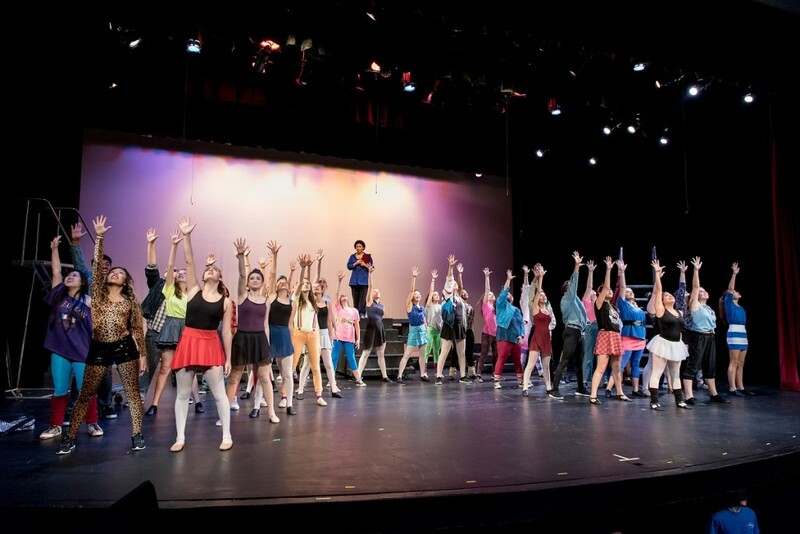 The lessons they learn at YAA about work ethic and finding joy in music and stagecraft are something that they will carry with them throughout their lives regardless of what they dedicate themselves to in college and beyond. For both my brother, Kristofer, and I, we were very fortunate to receive wonderful professional level training at the collegiate level from our mentors in our respective fields of orchestral music and voice. We wanted to create this same opportunity for high school and middle school students here in the D.C. community where we grew up and where we have chosen to raise our own families. 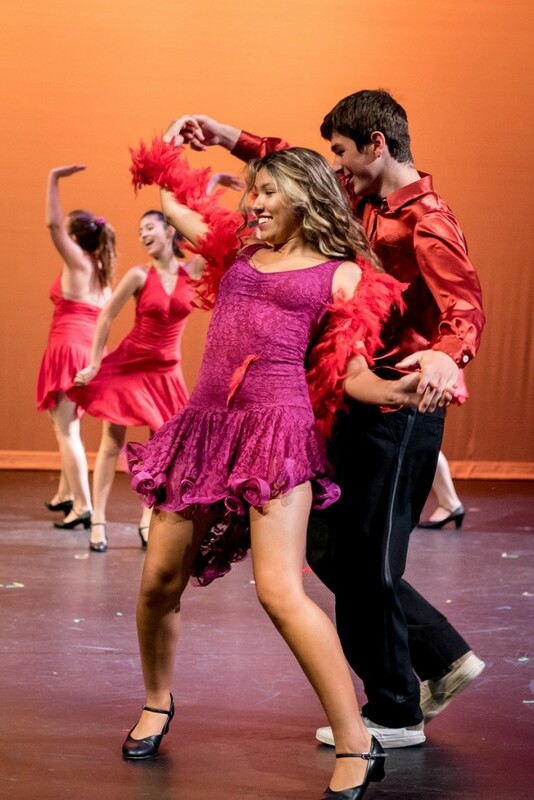 Now, alongside our wonderful extended YAA family of teachers and professionals, we could not be more pleased to see our students blossoming on stage as well as in their own personal lives. Come see us perform! Our students work incredibly hard and we love to share their efforts with as many people as possible. We hope you’ll be as moved by their work as we are! There are occasional volunteer opportunities, but really, the most helpful thing people can do is spread the word about our mission and come out to support the student performances. We’re always happy to take a phone call and can be reached at: (301) 272-8604. 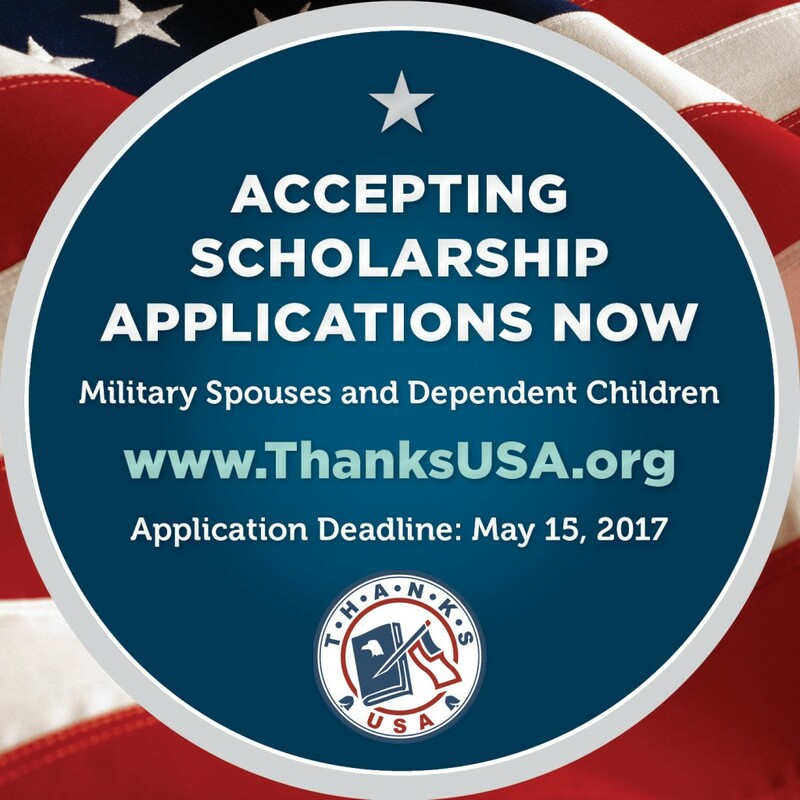 ThanksUSA provides college, technical and vocational school, need-based scholarships for the children and spouses of U.S. military personnel from all five branches of the Armed Forces, including the National Guard and Reserves. Roughly 2.9 million military family members in the US don’t wear the uniform but “serve” too; 560,000 service members claim 1.1 million children as dependents. And there are more than 100,000 military children ages 17-22 in active duty households. Scholarship applicants are eligible for grants if their military family member has served 180 days since September 11, 2001, and preference is given to spouses and children of the wounded and fallen. Since 2006, ThanksUSA has awarded nearly 4,000 scholarships totaling $12 million in all 50 states and the District of Columbia. College affordability is one of the greatest burdens facing military families who largely depend on a single income — an average annual salary for an E9 over 20 years of service is $46,000 plus variable housing and cost of living allowances. According to Blue Star Families 2016 Military Family Lifestyle Survey, military families are 27% less likely to have dual incomes than civilian families. 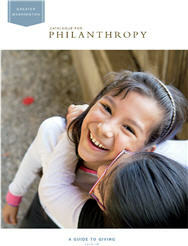 ThanksUSA seeks to lift part of this burden with the gift of scholarships. Each ThanksUSA scholarship is for $3,000, which may not seem like a large amount but most military spouses and children receive some form of tuition assistance because of their family finances. An additional $3,000 goes a very long way — enabling the scholar to drop a part-time job; to pay for travel expenses, books and fees; or to close the gap between affording and not affording a more expensive school. ThanksUSA began as the “brain blast” of two sisters, Rachel and Kelsi Okun of McLean, Virginia, while on a family vacation in August 2005. They became fascinated with the appeal of treasure hunts. The girls wondered about using the appeal of treasure hunts to inspire children and their parents to support a national goal. Asked what that mission should be, the girls said they wanted to help the families of military troops. They were inspired by their neighbor, U.S. Army Lieutenant Colonel Lanier Ward, who had been severely injured in Iraq. Although the girls had already sent care packages to soldiers overseas from school and church, and had written letters to soldiers, they wanted to do something more. 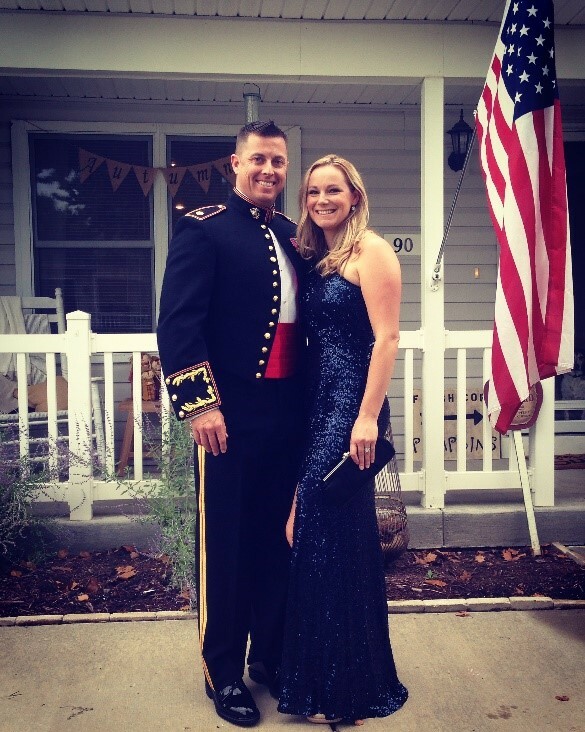 ThanksUSA’s military family scholarship program was born out of compassion and a simple idea, and over a decade later, ThanksUSA is still inspired by Rachel and Kelsi’s passion for helping military families. One of ThanksUSA’s most exciting times of the year is the opening of its scholarship application, April 1-May 15, and the subsequent awarding of scholarships to these applicants. Year-round we work hard to get the word out about our scholarship program and to raise awareness and funds to award as many scholarships as possible to deserving military spouses and children. We look forward to learning about our new scholars – their journeys, their ambitions, and their passions – and following them throughout their schooling and beyond. ThanksUSA is also extremely excited about our weekly Wounded Veterans Adaptive Tennis Clinic at East Potomac Tennis Center in Washington, DC. In February, we kicked off this clinic as a way to give back to wounded veterans by providing a sport that acts as rehabilitation, as well as a fun way to stay active and socialize. The clinic is taught by PTR Adaptive Tennis Certified, USPTA wheelchair certified and 2015 PTR Maryland Member of the Year, Brenda Gilmore. Brenda says: “It’s been quite rewarding for me to see not only the progress of the participants but to see how much they enjoy each other’s company as much as they do learning to play tennis. I think this is truly one of the highlights of their week!” And it is truly the highlight of ThanksUSA’s week as well! Getting to know the veterans and their stories, and watch as their passion for tennis grows off the court, is a rewarding experience. ThanksUSA has plans to continue this clinic into 2018, and there is growing interest in beginning clinics in additional cities. A great day at ThanksUSA is spent at one of our events – including our military appreciation days and our golf and tennis tournaments – where our military and their families are appreciated and thanked for their service. Getting out and about in such active environments with our supporters, who meet and get to know our troops and their kids and spouses, all while raising money to boot, is a great reminder of why ThanksUSA works hard every day! America’s troops and their families deserve our respect and our thanks for their selfless service. Members of the United States Armed Forces have borne significant burdens to protect this country, and we can’t let their contributions be forgotten. Anyone can reach us by visiting our website, www.thanksusa.org, or by messaging us on Facebook. Any questions or comments can also be directed to ThanksUSA Executive Director, Michele Stork at MicheleStork@thanksusa.org or (703) 855-4108. 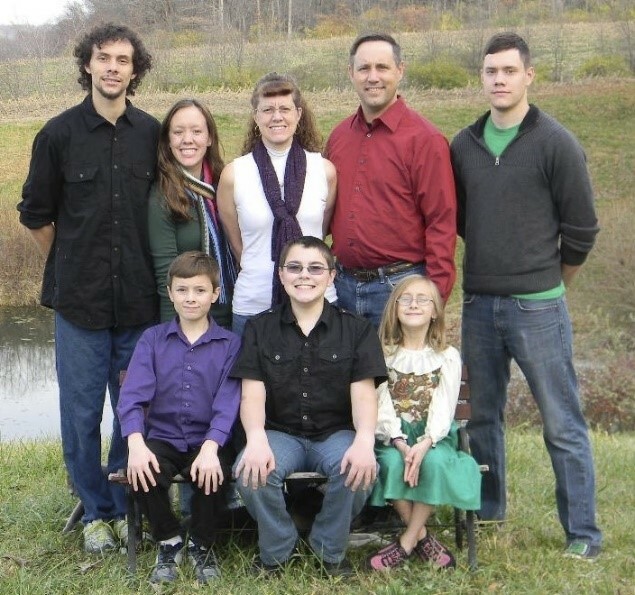 7 Questions: Dr. Rachel Mazyck, President of Collegiate Directions, Inc. In recent weeks, the student loan crisis has become a hot topic — due in part to the impending deadline for Congress to prevent student loan interest rates from doubling. The New York Times article, “A Generation Hobbled by the Soaring Cost of College” (May 13) offers real life examples of the harsh realities of student loan burdens; and this infographic from LearnVest shows that the average debt burden for graduates is $25,000, while the median starting salary is just $2,000 above that. On May 10, Community Partnerships Coordinator Marie LeBlanc and I attended a briefing at the White House on College Affordability hosted by the Office of Public Engagement. There was a panel discussion, keynote from Vice President Joe Biden, and a Q&A session. Members of the audience included college students from local universities, campus action groups, and players in DC community engagement. Catalogue was proud to be included in the discussion. The briefing focused on the Obama administration’s efforts to make college more accessible and affordable. And while student loans will continue to be a reality for a high percentage of college graduates, he hopes to make repaying those loans as manageable as possible. If Congress does not act by July 1st, student loan interest rates will double from 3.4% to 6.8%. Keeping student loan interest rates low helps keep college accessible. If you are interested in getting involved in this political issue, reach out to your Congressman. College Bound: College Bound targets under served junior high and high school students who have the drive and desire to attend college.Each week, students meet one-on-one with college-educated mentors who assist them in math, SAT prep, and college admissions, with the goal of improving the District’s historically low test scores and college-attendance rate. Mentors explore scholarship opportunities and help students navigate the college application process. Reach for College! : In the District, only 43% of students graduate high school and nearly half of those never attend college. So every day, as part of their academic schedule, 2,000 students in more than 40 classes in DC use Reach for College!’s curricular materials to boost their skills in college-level reading, writing, and time management. Classes in SAT prep, college selection and application, and financial aid, help them navigate the application maze. The Posse Foundation: The Posse Foundation identifies public high school students with extraordinary academic and leadership potential who might otherwise be overlooked in the college admissions process. It helps them pursue personal and academic excellence by placing them in supportive, multicultural teams (“posses”) of ten students that act as traveling support systems. 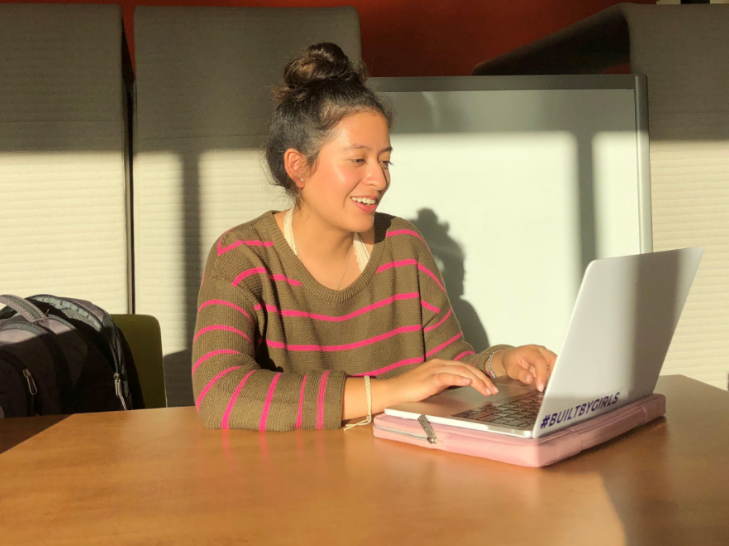 Posse expands the pool from which top universities recruit students, helps create more inclusive campus environments, and ensures that Posse Scholars persist in their academic studies and graduate (an astonishing 90% of them do). For homeless single dad, nothing’s easy, even when it’s good (Washington Post: Local): “Hours later, after he produced his ID with no fixed address, his Social Security card, his medical records, the paperwork for Kai, the letters from readers, two tellers still wouldn’t cash it. Finally, a branch manager took him into her office, closed the door behind them and listened to his story. [...] If this is the process to simply cash a check when you’re without an anchor, imagine how hard it is to find work, housing and child care when your address is a shelter and a 1-year-old is clinging to your neck.” Juan Jordan, who recently received a place at the former DC General Hospital with help from the Washington Legal Clinic for the Homeless, daily faces a specific array of challenges in securing food and shelter for himself and his daughter — precisely because it is just the two of them. How Do Your Nonprofit’s Online Numbers Compare? (Huffington Post): “The 2012 eNonprofit Benchmarks Study showed nonprofit online fundraising grew for a second year in a row, driven largely by an increase in gifts to rights-based nonprofits. While the response rates to fundraising email messages stayed fairly consistent for nonprofits in 2011, the average rates of new Facebook fans, mobile subscribers, and people who took action from an advocacy email soared.” Among the notable results? By December 2011, “nonprofits on average had 70 percent more Facebook fans than they did at the start of the year” and “the number of email subscribers responding to calls to action online [... had] increased 28 percent.” M+R principal Bill Wasserman suggests taking similar stock of your own numbers and brainstorming how to improve them in 2012. Today, catch a glimpse into … The Black Student Fund, which provides vital support services and financial assistance to DC area African-American students as they navigate the application process, graduate from high school, and move on to college. Many students are the very first in their families to progress to higher education. 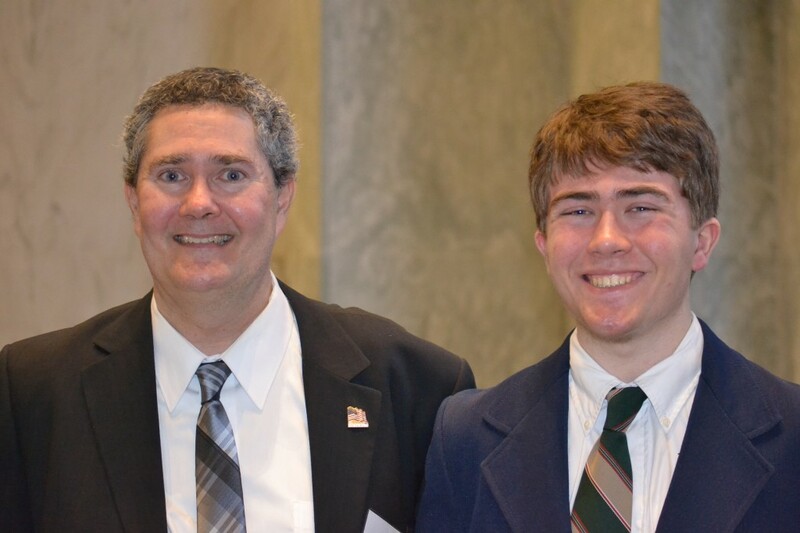 This past spring, the Annual Senior Reception and Alumni Induction Ceremony was held at the US Navy Memorial and celebrated the graduation of BSF’s senior class members, all of whom will be attending college in just a few weeks. Their amazing matriculation list includes Yale, Stanford, Morehouse, Howard, American, and Colby. These photos show seniors wearing their BSF “stoles,” which they receive upon induction into the Alumni Association. The graduates appear with Executive Director Jeanie Collins Carr and Board Chair Joel S. Kanter. And as a new school year begins, you can support the next BSF class on their journey towards graduation and higher education.